If you are not sure about your carriage charge, the easiest way to check is to add required items to your basket and enter your postcode. Standard Delivery is FREE if you spend over £50. If you wish to upgrade to a faster delivery (delivery aim within 2 working days, if ordered before 2pm) it will be £11.95 - Please contact us to see if this will be possible before ordering. Please note we do not ship outside of the UK. We use a mixture of Royal Mail & Carriers. Please note if your order includes Specialist Card & Board (inc Greyboard) OR certain other items such as Paper/Envelopes/Packaging then delivery is likely to be £6.95 if your order value is below £50. However if you are ordering from these postcodes and you wish to obtain a personalised delivery quote, please email sales@funkypen.co.uk prior to ordering with the product codes, quantities and your postcode and we will see what we can do. 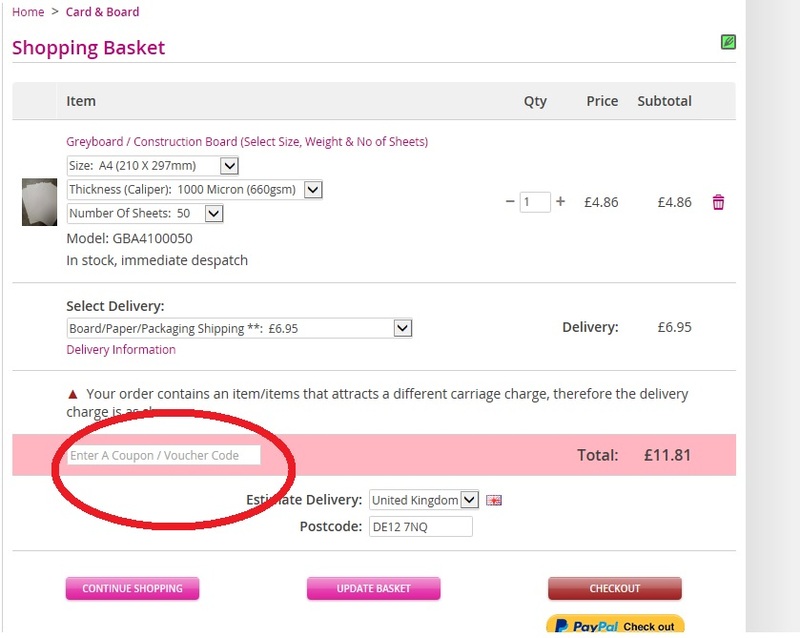 For example if you are ordering something small & lightweight, we may be able to send it with Royal Mail cheaper instead. Please note than A2 Board will always be sent with a carrier. Yes. We do not have a shop front, but collections can be made Monday to Friday between 9am and 5pm. Please select 'Collect From Our Measham Office' at checkout. Most goods will be ready the next working day if ordered before 4pm but please await our email to say the goods are ready as not all items are held in stock. Most orders are despatched within 1-2 working days. We aim to get your order out to you as soon as possible but please allow 5 working days on top of this for delivery. We hold a good range of items in stock but some come direct from suppliers. To keep our delivery charges to you as low as we use a combination of Royal Mail & Other Carriers. If you need something sooner, please call us on 01530 515151 and we will see what we can do. How Do I Return An Item / Cancel An Order? Our policy lasts 30 days. If 30 days have gone by since your purchase, unfortunately we can’t offer you a refund, credit or exchange. For full details of returns or cancelling an order please visit our Returns page. Please call 01530 515151 or visit our contact page for alternative options. I can't see what I need? We have access to thousands of products so if you haven't found quite what you are after, please call or email us. I need a bigger or smaller pack size / Different colour / Something to match the set? Some of our products can be split down if you are after a smaller quantity. Or on some products we can offer a slight discount for purchasing a larger quantity (at least 5 +). Some products are also available as standard bulk packs. Other colours, sizes and styles may be available but are not yet listed. Please contact us! If I have a discount code/ E-Code/ Gift Voucher, where do I enter the code?